I stood holding a slab of red stone my dad had just handed me. I asked him what kind of stone it was, where it came from and how he came to possess it. He explained the stone was pipestone, taken from the quarry in Pipestone, Minnesota; a quarry held sacred to American Indians, and his mother had placed some of it in her rock garden. He went on to relate a story, set back in 1924-1925, of pioneer people, their attempt to rebuild a school and their relationship with the indigenous people of Minnesota. In 1924, my dad, Merrill Joseph Frisk, was eight years of age when he stood with his father and witnessed the unfolding of events surrounding the convent school project. As he related, h e watched as a steam locomotive, probably from the Omaha Railroad, rolled into Avoca. Men, my grandfather Emil among them, began to offload the cargo. Emil was a drayman and worked unloading trains and hauling material and merchandise he placed on a long, flat, horse-drawn cart called a dray. As my dad stood watching, red pipestone, taken from the quarry in Pipestone, Minnesota, was laboriously hauled off the train and transported to a building site on lots across the street from the Catholic Church. The purpose of the stone was to provide a decorative front for the new convent school. With the basement dug, all that remained for the project to proceed was to complete financing. Financing fell through and the project was terminated. Later, under the direction of Father Kearney, my dad watched as the red stone was dumped into the basement pit and covered over, remaining buried to this day. When I asked my dad to be specific as to how much stone he saw dumped, his response was “Oodles of it! Boxcars full of it!” I asked him if he knew the exact location of the stone. He told me it was directly across from the front of Saint Rose Catholic Church in the location of the current town park and ball diamond. My grandma Annie carried some of the stone away in a wheelbarrow for use in her rock garden, stone that had inspired this story. I felt tons of buried stone would be a significant recovery for the Indian people. While in graduate school, I commented on the stone to my professor and opined I should inform the Indian people of this matter. At the time, I was the only person who knew where the stone was supposed to be buried, as my dad had died in October of 2001. The professor suggested the stone might need to rest where it was. 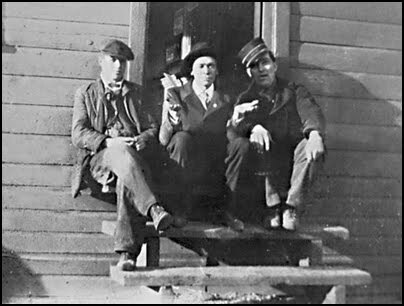 My uncle E. J. was deaf and spent many days alone, back in the late 1920s and early 1930s, walking along the shoreline of Avoca’s Lime Lake. He once found a small pike carved from the red stone. The possibility of an American Indian camping along the shore and using the pike to bring good luck to his fishing was intriguing. He might have suffered an accident and the pike broke off of his pipe. These little things beckoned me to explore the world and culture of people who lived here before my ancestors arrived and helped to build a new nation but also messed up the natural beauty of the prairie and the lives of those who were here before them. I did not want to let the issue rest. Pipestone, Minnesota is a town of over 4,000 people located in the southwestern corner of the state. It lies in a prairie area and is less than a mile south of the quarry it is named for. The quarry was designated Pipestone National Monument, in 1937, and is run by the United States National Park Service. The 282-acre quarry has a four-century history. Pipestone is found in Montana, Arizona, Kansas, South Dakota, Wisconsin, and Ohio. Pipestone from Minnesota's sacred quarry has been found in burial mounds all over North America, leading historians to believe tribes journeyed to the quarry from thousands of miles away.6 Religious beliefs dictated tribes approach the quarry with reverence, leave all weapons behind, give an offering, and be at peace as they removed the stone and carved and smoked their calumets or peace pipes as white settlers called them. To the Lakota, the stone is the blood of their ancestors. Many of the Dakota consider the stone to be the blood of Mother Earth. Though different tribes have controlled the quarry, all have cherished it. My research found evidence the pipestone taken to Avoca around 1924 was not given to the Catholic parish. I believe the parishioners took it in the absence of Indian control of the quarry at the time. Considering the history of the old Indian school, my dad opined the Indians probably gave Father Tibesar the stone as a donation or Father Tibesar bought the stone from the tribes. I doubt this, because there was little Indian presence at the quarry at the time of the building project. The Yankton, who had been in control, left the quarry in the 1850s to dwell on a reservation. They last quarried at Pipestone in 1911. It was not until 1928 that only Indians were allowed to quarry at Pipestone and quarrying by others was terminated.7 Parishioners likely quarried the stone or bought it from whites or the few Dakota Indian quarriers who were operating at Pipestone. I do not feel the settlers took the stone with malice in mind or knowledge they might have committed a wrong. 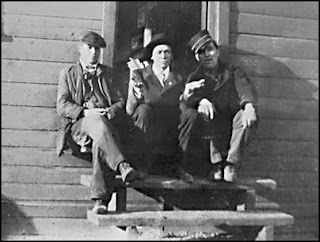 Pro-settlement sentiment was high, and the parishioners were probably encouraged by locals to take and use the pipestone. However, if the Indians gave the stone to the parish, it can be regarded as dishonored by being unceremoniously dumped and buried. Can you trust the boyhood recollections of an octogenarian? 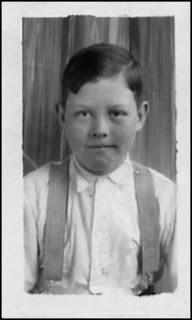 My dad, being a bright boy and a veracious reader, was well equipped intellectually to understand what he was seeing at ages eight and nine. In his eighties, he was of sound mind, recalling details, and in a small town like Avoca, this building project was a big deal. I believe my dad’s recollection of the quantity of stone dumped and covered, “Oodles of it! Boxcars full of it!” was accurate. Since Sioux quartzite was the premiere building stone from the quarry, quartzite could have been present and dumped along with the pipestone, as the two stones were used together due to their complimentary colors. If the building was to be wood-framed, with pipestone set into stucco or used in some other way for the facade, little quartzite would have been needed. If the building was to be made of stone, much of the stone my dad saw dumped could well have been Sioux quartzite, a light pink rock. 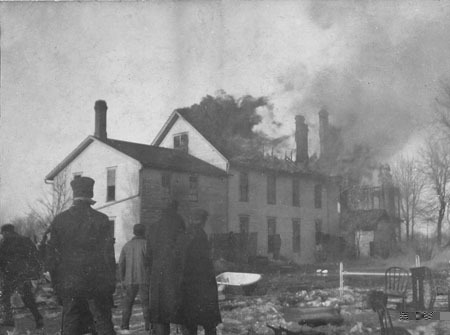 I believe the school was going to be wood-framed, as there were no stone buildings in Avoca. Judging from the size of the basement in the old groundbreaking photo, this was going to be a large school and could have utilized tons of pipestone. Unfortunately, the plans for the school, still existing in the rectory of the St. Rose Church, in the 1950s, were no longer to be found. Another way to use the stone would have been to set it into a walkway. A pipestone pathway would have made sense and looked beautiful to the settlers. They would have needed a lot of pipestone to do this. However, if this was the case, I believe they would have kept the stone and created a walkway at Saint Rose Church when the convent plan fell through. Why throw it out? Pipestone is also a soft stone and would wear quickly on a heavily traveled outdoor surface. My grandma did not use the stone she hauled home to build a path; she just stacked it in a rock garden. Years later, Mr. Pau, a neighbor, took most of the stone from the rock garden to place along the shore at his home on Lime Lake. On August 2nd, 2007, my sister and I made a trip to Avoca. The town was much like I remembered it in 1987. I viewed the house my grandparents once owned, now sold to someone else and vacant, and saw a manicured lawn where my grandma had a rock garden. Heading over to the old church grounds, the church had been torn down, and in its place stood a memorial bell Father Lovas had built. I walked across the street to find the lots that were once going to be the site of the new convent school and where the stone was supposed to be buried. Now a softball diamond and park, the area was quiet and nicely kept, though there were signs of a recent drought. Avoca has a population of 146, half of what it used to have when my dad was growing up, but it seemed nearly deserted. As I photographed the area, I sensed the stone was at rest and was going to remain undisturbed. It was such a large area, if a recovery effort was to be made, special equipment might be needed just to get an idea of where to begin digging. I wrote to the Pipestone County Museum, asking for their opinion on my story. I received a reply from the museum’s Betty McCabe, who explored the quarry and visited with the Superintendent of the Monument, Mr. Jim LaRock. Mr. LaRock stated it was impossible to obtain “tons” of pipestone from the quarry. He told her the trains stopped only at the quartzite quarries and not at the catlinite quarry pits. He said people did obtain pipestone from the quarry but they purchased it from the Indian families that lived in town and quarried there. The pipestone layer is hard to get at and hand tools have to be used due to its fragility. Only a 2-3 inch layer is suitable for pipes. It would be tough enough to haul away stone to the trains and even tougher to get much out of the vein of stone. Betty’s evidence indicated my dad was wrong and the stone he thought was pipestone was in fact Sioux quartzite. Betty went on to describe the situation at the quarry in the early 1900s. She wrote, “Natives from Flandreau, including Indian Joe Taylor, kept coming to quarry. Yes, there was slow time and there was much controversy about ownership of the land. This may have kept some Natives away.” She explained to me how Moses Crow came and quarried and a few other families arrived and quarried in the 1920s. Chuck Derby, the present day leader of the Pipestone area pipe carvers, is a descendent of Moses Crow. So, there was an Indian presence at the quarry and Betty also believes it was illegal to quarry pipestone without permission, even in the early 1920s. Betty had heard there were once several waterfalls at the quarry area and one was blasted to drain land for settling. She went on to say the stone I possess is likely Sioux quartzite. She said Chuck Derby could verify this if I brought him the stone. The pieces of stone I had from the rock garden seemed more like claystone than quartzite. If confirmed as quality pipestone, this would indicate Father Tibesar had access to the top quality stone and much of what he brought in might have been of high quality. Still, quality did not really matter; red coloration is what Father Tibesar was after. Father Tibesar did not believe that the stone was sacred, as this would have been sacrilegious to Catholic clergy. After all, a goal of Christianizing was to get Indian people away from earth worship. Allen and Wes Hare have long sought Yankton control of the sacred quarry, and neither believes the red stone should be sold. They want the quarry utilized by Indians only, for ceremonies, and the stone used for pipes only. They were two organizers of the June 2007 Run for the Sacred Pipe that ended with a protest at Pipestone. I wrote to Allen Hare to ask for his opinion on my dad’s story and what recovery might or might not mean to the Yankton. Allen emailed me in answer, “It was possible for the pipestone to be quarried in the amount mentioned. I have been told by an elderly man in the Standing Rock area that his grandfather witnessed the stone being taken out in huge amounts, and it was not being quarried in the traditional manner.” Allen went on to suggest that the stone, if present in Avoca, should be repatriated to the quarries. This story might seem disappointing in that it lacks closure and full closure could well be fleeting. Yet, this story needs to be told, and time has a way of exposing hidden secrets, bringing truth to light. The Lakota say a two-word prayer, Mitakuye Oyasin, meaning "All My Relations." It celebrates the harmony and interrelatedness of everything on Earth: people, animals, plants, and even rocks. It advises we are in a “hoop of life” and what affects one thing affects another.9 My dad’s story had implications for all. If true, it raises questions concerning ownership of the stone and whether or not it is worth the time and effort of the Sioux or entire American Indian community to attempt recovery. 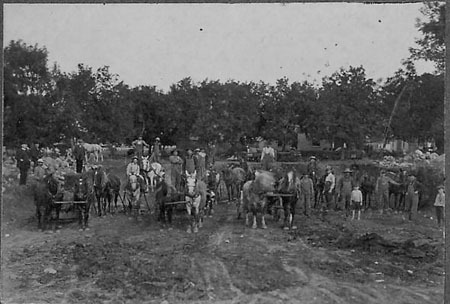 With the help of the Yankton and Pipestone communities, as well as the people of Avoca, an attempt to find the stone could become a reality, bringing closure to this mystery and the story an elderly father told to his son, of an event which was said to have occurred long ago between two societies connected in the hoop of life. 1. St. Rose Parish. Saint Rose of Lima Catholic Church 100 Years (Avoca, Minnesota: St. Rose Parish, 1978). 2. Diamond Jubilee. Diamond Jubilee Memorial Avoca, Minnesota (Avoca, Minnesota: Diamond Jubilee, 1953), 11-13. Great story and pics. E.J. Frisk was my Mom's cousin. How do I connect with the writer?
. Censored News is free of advertising and has no sponsors. Audios may not be sold or used for commercial purposes.